Note: You must have a school account for Office 365 Education to use Microsoft Classroom. Microsoft Classroom makes managing your class assignments a snap! 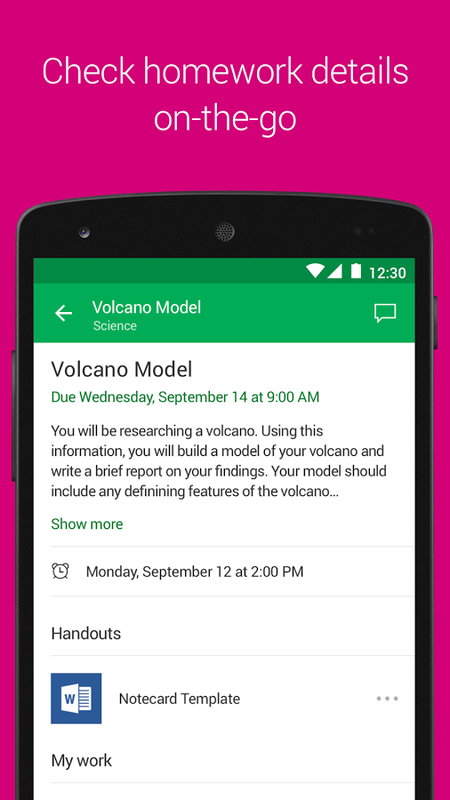 Keep tabs on your homework across all of your classes and turn in your work whether it’s an Office document, a link, or a photo from your mobile device. Microsoft Classroom is free and integrates with your school account for Office 365 Education. 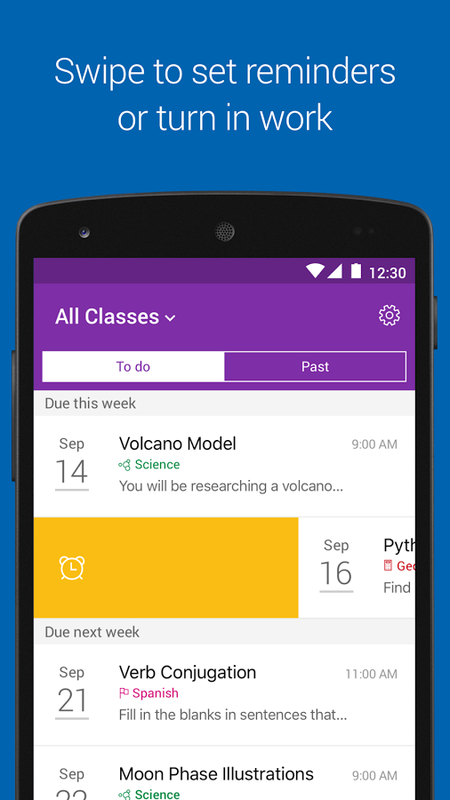 Use the app to help you stay organized. 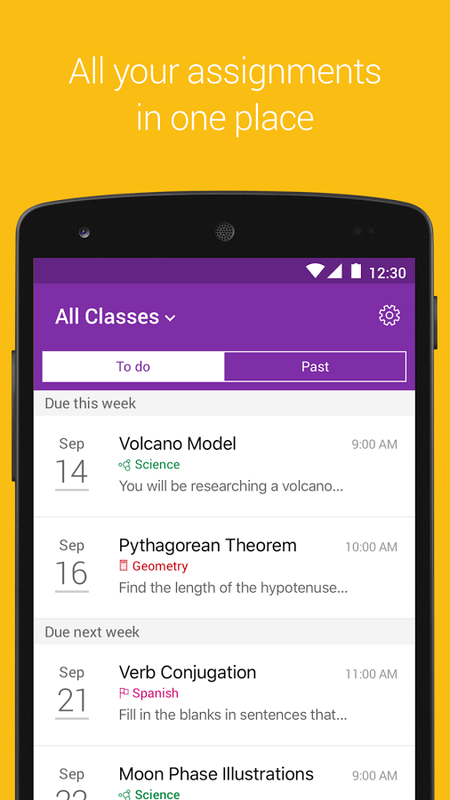 Plan what to work on next, view assignment details on the go, or chat with your classmates or teacher about a homework problem. Quickly reference your previously submitted assignments and grades. You can even take a photo of your work or attach a document and submit it directly from your phone or tablet. 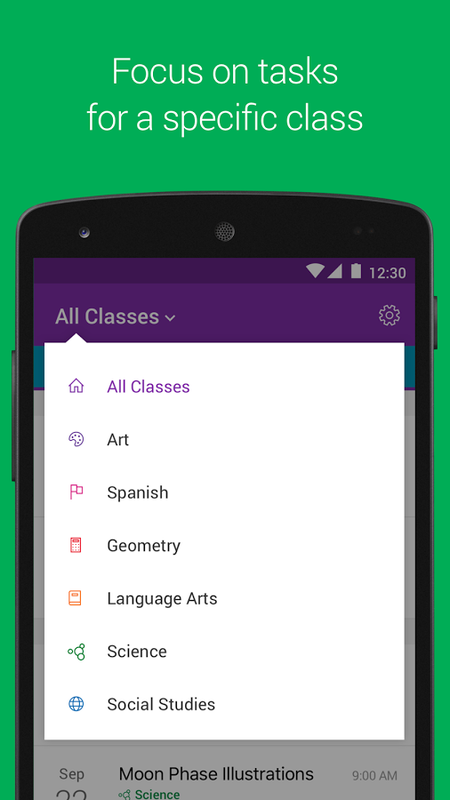 Enable push notifications to stay notified of grade postings, new assignments, or any updates your teacher made. You can set reminders for due dates so you never forget a thing!